MainAll NewsRadioHow do 'war winds' affect the elections in Israel? Escalation in the shadow of the elections - what will be the impact? Rod Reuven Dovid Bryant and Jerry Gordon interview Gil Hoffman, political columnist for the Jerusalem Post, during the Gaza missile attacks that showed the limits of deterrence by the Iron Dome systems. Hoffman said the elections are suddenly about war in the Middle East. "It is now a question of who is better able to handle the situation, Prime Minister Netanyahu or his Blue White opponent, former IDF Chief of Staff Gantz." 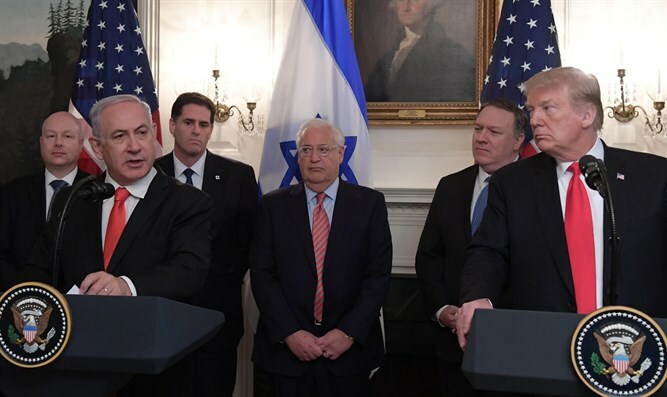 Hoffman also talks about the impact of Trump’s Golan proclamation and thinks that "It was a matter of Netanyahu being politically the most qualified Israeli international leader".